We all know that Vancouver looks beautiful, but what does our city sound like? On a recent visit, Toronto filmmakers Emil Smolders and Karen Lam decided to find out. The duo spent time recording the vibrant sites and sounds of the city, encapsulating it all into this short video. 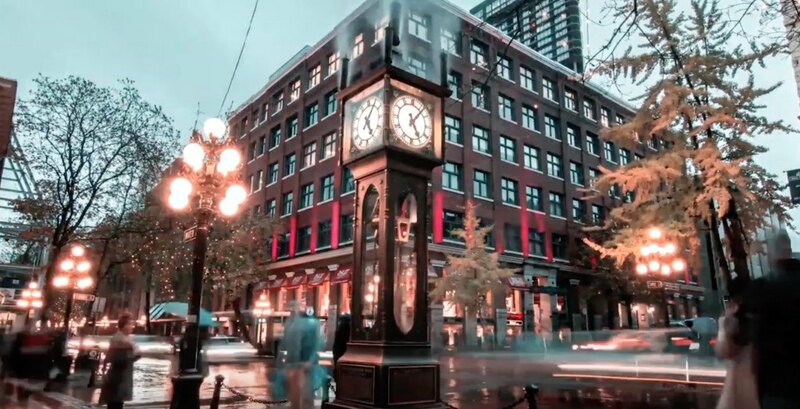 From the birds chirping in Lynn Canyon to the distinct sound of the SkyTrain pulling into a station, and the rain hitting the sidewalk during a night out in Gastown, Smolders and Lam manage to perfectly capture the sound of Vancouver. Smolders explains that their camera was on for most of the visit. “During our free time, we shot the city in the early mornings and late evenings meeting different people along the way that were more than willing to be in our video,” he told Daily Hive. They also spent time at Granville Island, went for a bike ride at Stanley Park, dined at Rodney’s Oyster House, watched a BC Lions game, and enjoyed a night out in Gastown. It was a jampacked trip but Smolders said his first time out west was a remarkable experience.